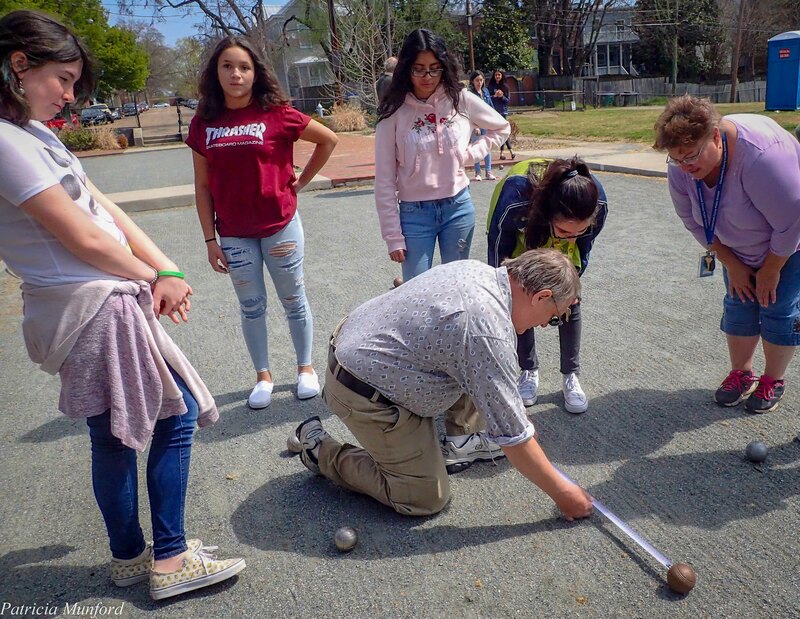 A group of French students from Falling Creek Middle School visited Les Boulefrogs’ courts to learn about France’s favorite pastime. 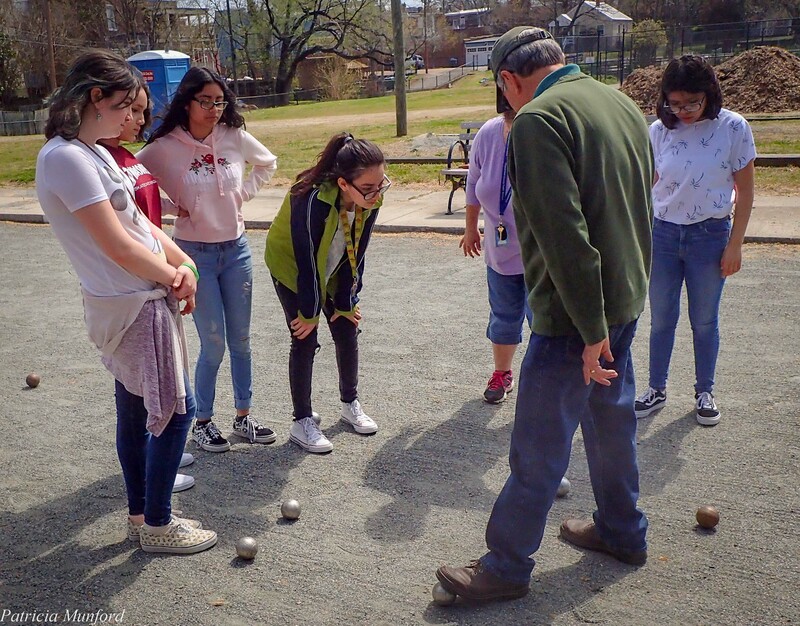 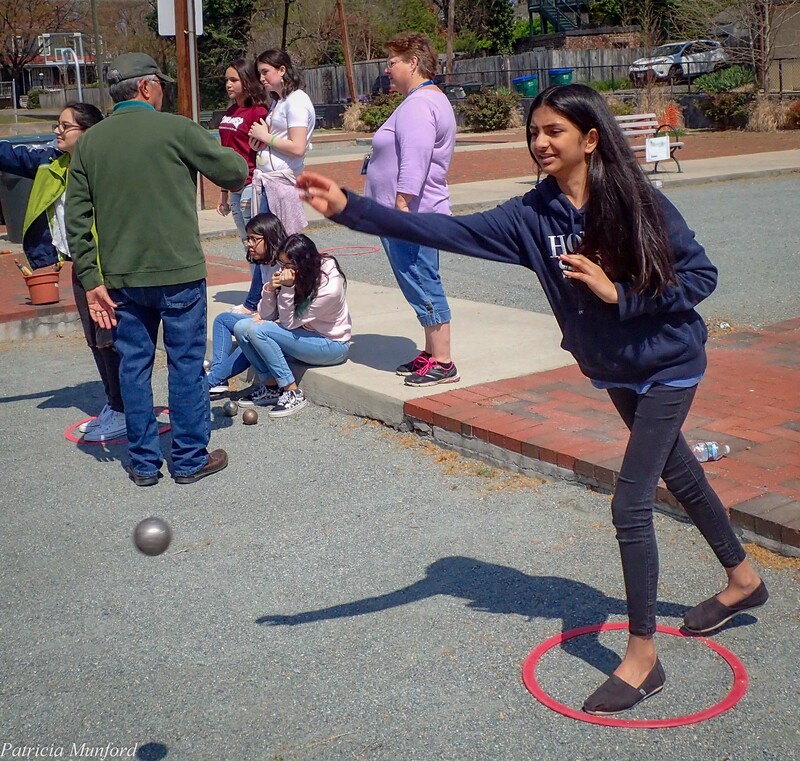 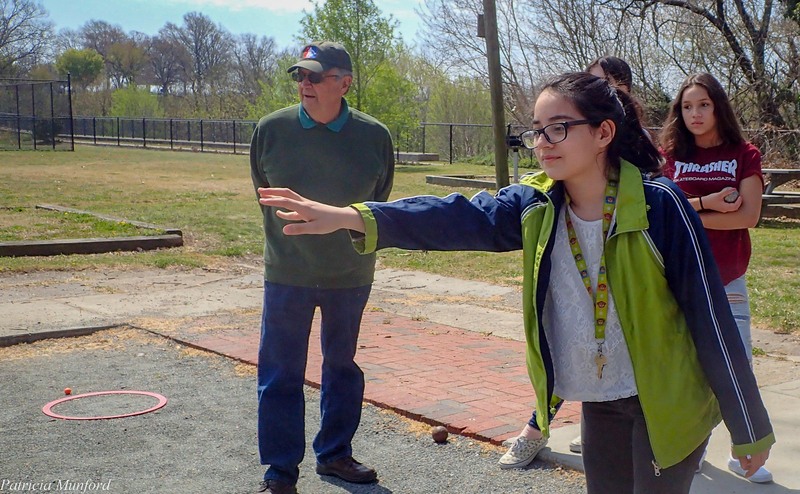 Teacher Jane Emrick and nine eighth grade French students were enthusiastically introduced to petanque. 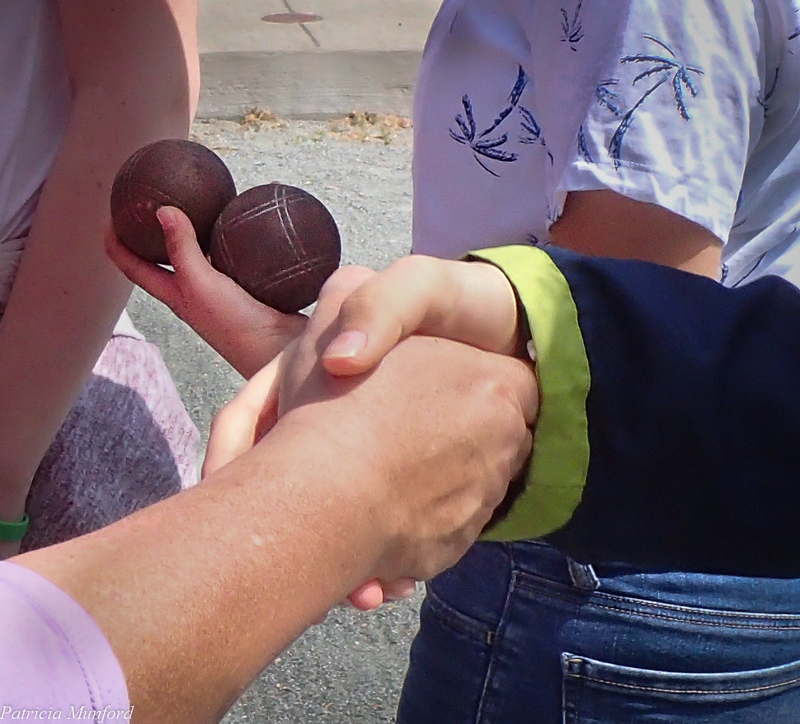 They took to the game quickly and enjoyed a quick game on a beautiful morning.